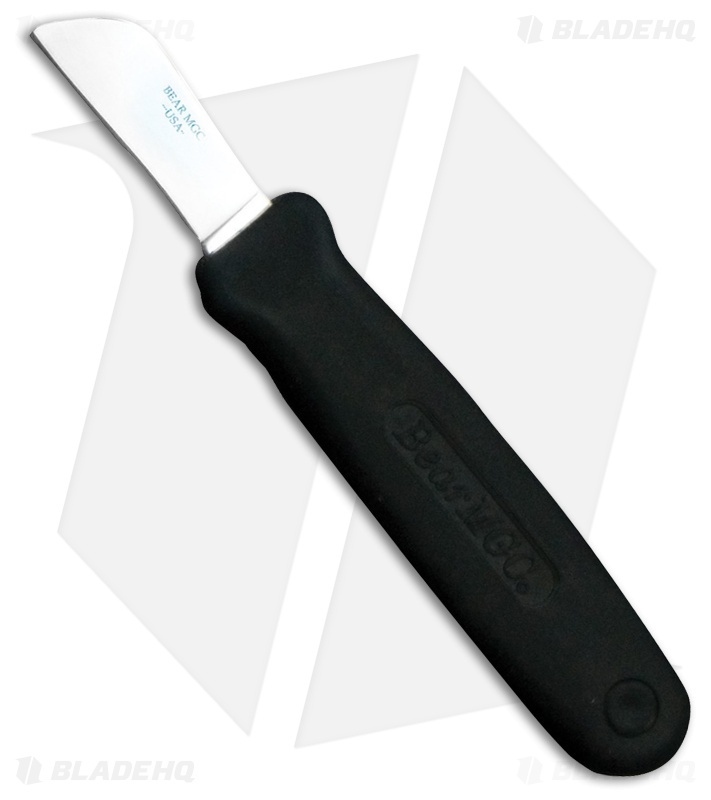 The Bear & Son Powergrip Utility fixed blade knife is a great knife for electricians and electrician work in general. 440 stainless steel sheepsfoot blade with a satin finish. Black Kraton handle with a lanyard hole.